This tournament is our fun way to determine the top alumni giving institutions for higher education fundraising. 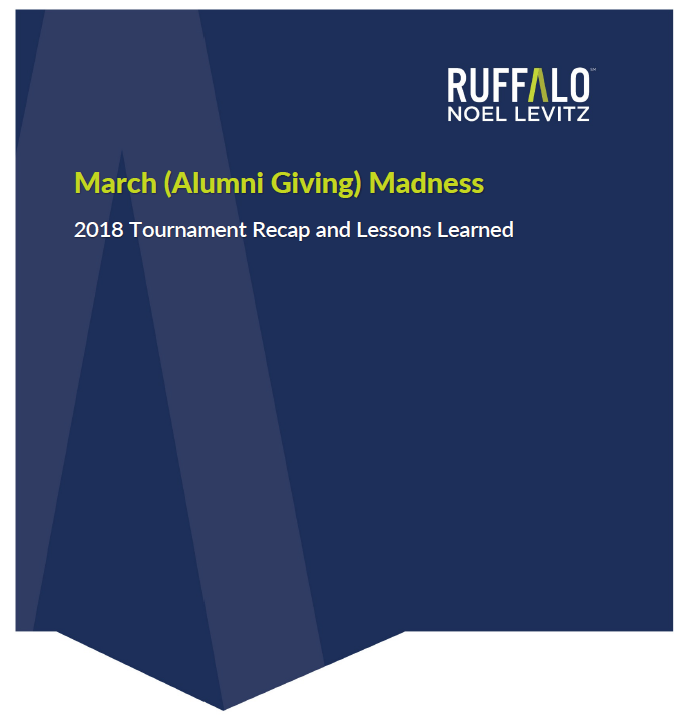 We took the institutions in this year’s men’s and women’s NCAA Basketball Tournaments, analyzed their alumni giving statistics, and determined the two top institutions for alumni giving. Men’s Bracket: University of Pennsylvania. Returning after last year’s win in our women’s bracket, Penn continues to have one of the highest alumni participation stats in the tournament. As we mentioned last year, donor growth and consistency in young alumni giving have been real strengths at Penn. Women’s Bracket: University of Notre Dame. Another return winner, Notre Dame also took home a win in 2016 in the men’s division of our tournament. Two years of consistent alumni donor growth and a LeBron-level performance for giving-per-living-alumnus made the Fighting Irish unstoppable. Alumni participation declines again: In most of this year’s match ups, it was more about who had declined the least. We’re on a 20-year downhill spiral for the percent of living alumni who give. While we know that part of the issue is the sheer increase in the number of alumni institutions are trying to engage, with the good economy and real effort, some are building back. Colleges and universities that bucked this trend were also commonly the top alumni giving dollars institutions. Averages can be deceiving. Less than 1 percent of institutions raise over 28 percent of the funds in higher education, so the stats are skewed toward the top. This caused some real blowouts, especially in early rounds. However, there were some institutions who really posted gains over the past few years, largely due to campaign dollars. Many institutions still need a training camp for online giving. We saw a wide range of online giving presence at institutions. It was less common for it to be hard to find the giving portal from the main university web page this year. Crowdfunding and giving days continue to grow, but news of these options wasn’t present on most “give now” pages we reviewed. Social media engagement continues to be minimal, but was definitely something more common at the top fundraising institutions. Overall, online giving is improving a bit, with average score from our refs rising to 3.46/5 over last year’s 3.30/5. How the tournament is evolving: We heard from advancement leaders that immediate dollars are dominating as a concern at most institutions. So we weighted alumni giving dollars a bit higher this year. Alumni giving dollars are indeed up, rising over 14% this past year. There were also a few match ups that might be considered upsets this year — an institution won because of strong donor count growth in one case but raised about 1/12 from alumni in dollars. We will be doing further polling of advancement professional this year to get a handle on donor counts, growth and the alumni denominator. That may cause changes to next year’s tournament. 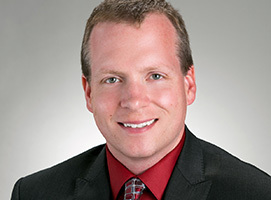 I once again break down the results with RNL’s Shad Hanselman, on the latest episode of podcast Fundraising Voices, available on iTunes and Stitcher. Can we compare our results even if our institution wasn’t in the NCAA Tournament? You can find out how your alumni giving compares to your peers by requesting a Donor Comparison Report. Using data from the VSE survey, this report allows you to benchmark your alumni giving statistics and identify alumni giving trends. Request your free report here.